Gujarat Secondary And Higher Secondary Examination Board Has Conducted HSC Science Semester -1 Examination in Oct./Nov.-2015 on various centers of Gujarat. A large numbers of students have appeared in Higher Secondary certificate (HSC) Science Stream Sem.-1 Exam. Students can check their result by clicking on above given link. Firstly Login to www.gseb.org or www.gipl.netSearch for Result link in Main pageEnter Your Seat no. And click on submit button.You are done now. Take a print out of your result for future reference. RRB (Railway Recruitment Board) Recruitment Notification 2015 for 18252 Goods Guard, ASM, Clerk, Traffic Assistant Post. RRB (Railway Recruitment Board) Has Released Recruitment Notification For 18252Goods Guard, ASM, Clerk, Traffic Assistant Posts. Age Limit - Candidates upper age limit should not exceed 30 Years. Age relaxations will be applicable as per the rules. Educational Qualification - Candidates should have done 10th / 12th / Graduation Degree / Bachelor Degree or its equivalent qualification from a recognized university. How To Apply - All Eligible and Interested candidates may fill the online application through official website http://indianrailways.gov.in before or on 25-01-2016. Important Dates -Last Date for Registration of Online Application Form Is: 25-01-2016 . Post Department (Indian Post) Postman Post Recruitment 201516-Banaskantha. Qualification : 10th Pass or equivalent, Computer Knowledge Required. Revenue Talati Materials collection ............! SSA Gujarat has actually introduced SSA Gujarat Recruitment 2015 notification for the applicants for block resource person (BRP). SSA Gujarat Notification 2016 is out for BRP Bharti 2015-2016. Eligible candidates can aplly online on or before last date 31-12-2015. 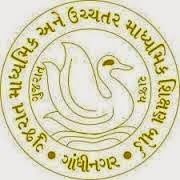 Check SSA Gujarat official site www.ssagujarat.org to find other advice in regard to the SSA Gujarat BRP Recruitment 2015. 1 ) http://www.ssagujarat.org/ is the website to fill out an application online. 2 ) Then, check out the SSA Gujarat Recruitment Notification for perfect info. 3 ) Open the SSA Gujarat BRP Online application form. 4 ) Fill up the form and submit it, take the printout. Educational News Updates on 11-12-2015 . GIR-SOMNATH :- NEW PSI SELECTED CANDIDATES LIST.